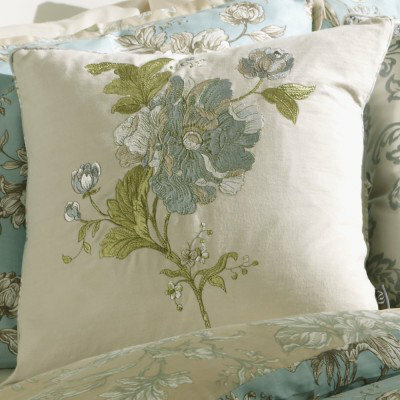 A beautiful embroidered floral damask cushion that compliments the Aquitaine bedding perfectly. 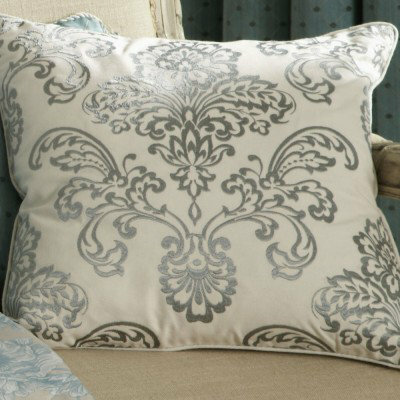 This cushion would also look lovely in a vintage or country styled living space. Total cushion size 43x43cm. 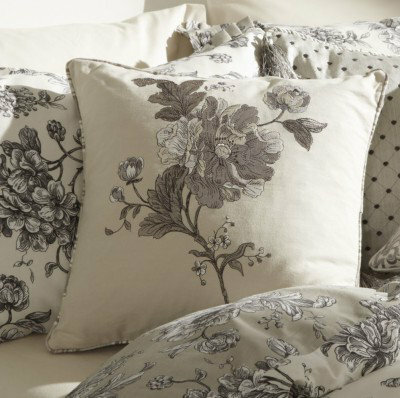 A beautiful embroidered floral cushion that compliments the Aquitaine bedding perfectly. 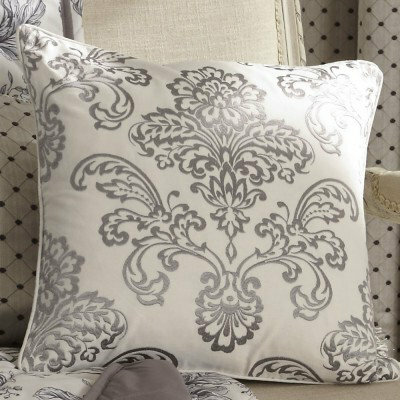 This cushion would also look lovely in a vintage or country styled living space. Total cushion size 43x43cm.